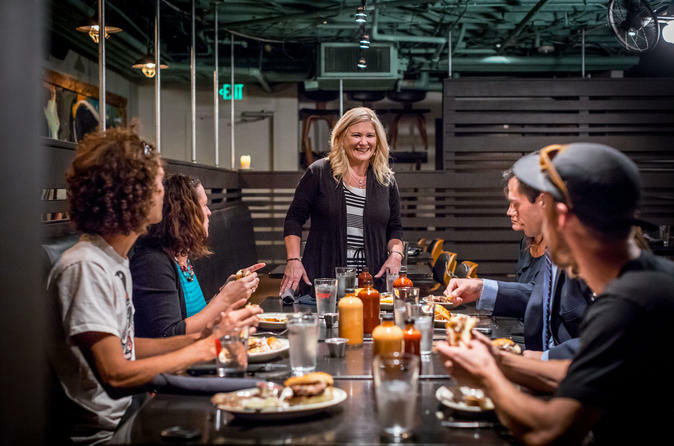 Your local "foodie" guide will be waiting to welcome you on a exquisite culinary journey exploring Downtown Denver. Get ready to sample mouth-watering food at local acclaimed restaurants and stands. Learn about food and the people whose pride in their craft is only matched by the effusiveness of their spirit. On this tour, you will dive into incredible dishes, namely short ribs, artisian cheese, mouth watering tuna melt, delicious noodle bowl , olive oil tastings and aritisian icecream. All food tastings are included on this tour. Here is a sampling of our family-owned tasting locations: Milk and Honey, Avelina , Evioo, Zoe Zoe Ma, Mercantile and much more. Taste of Denver Food Tours´s unique cultural and historical experience that will not just satisfy your stomach, but leave you wanting to learn more about Denver. Between trying out delicious bites and tastings, you will feast your eyes on the beauty of Denver, its architecture, topography and historical sights . Your passionate and informative guide will help you navigate through Denver and leave you feeling like a local. During your tour, you will see some great sights including beautiful Oxford Hotel, Larimer Square, Union Station and much more. This tour will truly gave you a taste of the Denver and culture in Colorado.